Miyagikyo, Masataka Taketsuru's second distillery, was built in 1969 and is located in Honshu. 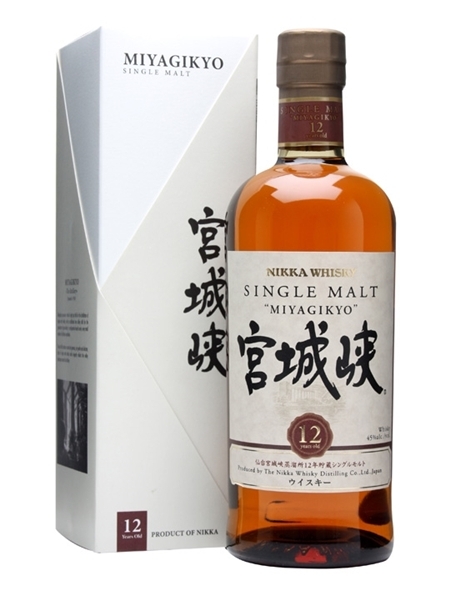 They say that the most subtle and least peated single malt from Nikka comes from the Miyagikyo distillery. The 12 year old single malt (~€130), previously called Sendai, was aged in sherry casks and bottled at 45% ABV.